When I first started riding a road bike I must admit that I was a little bamboozled by all those gears, but trust me efficient gear changing on your road bike will really make a difference to your speed. I was somewhat overwhelmed to find my first road bike had 20 gears, and wondered how I was ever going to utilise them all. And believe it or not you will use most of them on a regular basis. 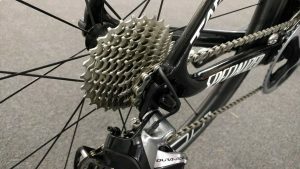 What have you learnt about efficient gear changing on your road bike? Share your experiences via comments or the Women Who Cycle Facebook page. 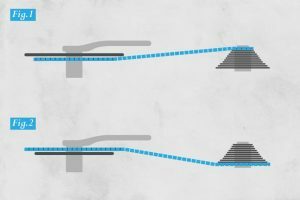 Thank you for this and all your other bike skills posts–they’re giving me a lot of info and food for thought as I begin my road bike journey. I found your blog before I was even confident in my pedal clip-out skills, and now I’m up to 40 mile rides (with small descents!) on the weekends. Hope you are recovering well from being hit by the car ~ take care! All this and no mention of crossed chains? Thanks for the input. I’ve updated the post to include cross chaining.